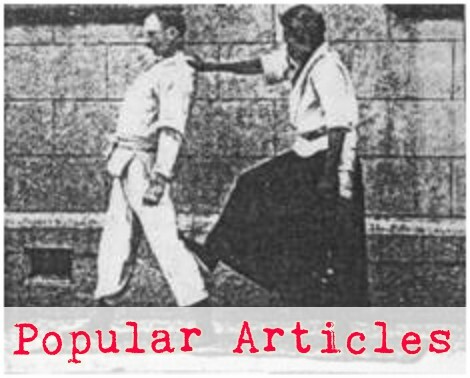 Tegatana is a synthesis of the unsoku and tandoku undo, which are basic forms of footwork and arm motion used in aikido. These motions were separated from their contexts in techniques and placed by themselves into tegatana no kata so that the aikidoka can practice the motions without having to deal with so many variables at once. So tegatana consists of context insensitive, or general purpose movements used throughout aikido. 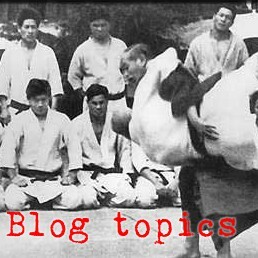 Sometimes it is fun and instructive to try to think of specific aikido techniques where the motions in tegatana are used, but because of the general nature of tegatana, it is often hard to spot a specific application for some of the motions. ...a couple of hints to help you keep the right sized steps in tegatana. First, notice that with very large steps forward it is difficult to land on the ball of your front foot instead of the heel. Conversely, if you take a very large step backward you cannot keep your rear heel near the floor - it pops up. so, watch how your feet are working and if it is awkward to do a proper falling tsugiashi try shorter steps. A good trick for learning to make standard sided turning steps (move # 3) is to measure the width of your basic stance in tegatana then draw a box on the floor (or cut out a paper square) with sides the width of your stance. Then start with your toes on two adjacent corners and step around the box to the left and to the right so that after each step your toes are on adjacent corners. Of course, this doesn't mean that there won't be times in aiki that you have to take a large step, but in tegatana you are learning a standard-sized step so that when your brain tells your body "go that way" your body takes one standard step instead of some random step. When this is ingrained in you, your brain can adjust your step length appropriately, but with no standard sided step then all motion is random and chaotic. I understand the box idea, i'n going to go play around with that right now.